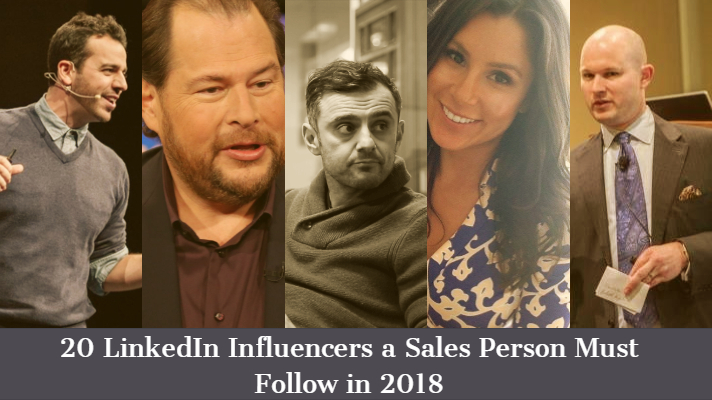 After spending around 70+ hours on LinkedIn, observing & analyzing hundreds of profiles of Sales Influencers or Sales Gurus we have mindfully put together the list of 20+ Sales LinkedIn Influencers/Gurus that you must follow in 2018. Gary Vee is the influencer we all know & follow at least on one social media platform. He shares his insights on entrepreneurship, managing social media, learning new things, and his social media handles can provide the ultimate motivation a salesperson is looking for. 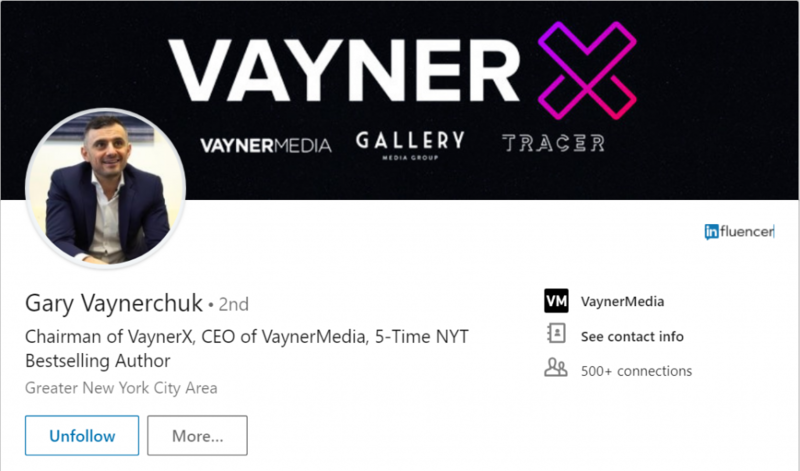 Gary is the CEO of Vayner Media, a full-service digital agency helping Fortune 500 companies to drive the best business outcomes using influencer marketing, class creative, media & much more. Steli Efti is mainly known for his selling skills and his attitude of never giving up on a prospect. He is the founder of Close.io which is a platform that helps you track all your sales activity & the communication between your salesperson & the prospect. Steli is the perfect influencer for a salesperson to follow if he wants to be the best. He actively writes blogs about cold calling, sales, inside sales & everything related to sales. Speaker | Sales Trainer | Best-Selling Author | CE Curriculum Developer | Sales Skills that get Results! Tom Hopkins is a speaker, sales trainer, and best-selling author of 18 books including How to Master the Art of Selling which has sold over 1.7 Million Copies worldwide. He has trained over 5 million students on 5 continents and is a recognized expert in the field of sales since 1974. He writes regularly on LinkedIn Pulse from where you get good insights into his brilliant mind. Jeb Blount is a CEO of Sales Gravy where they advise top company executives on the influence of emotional intelligence and interpersonal skills on sales, experience, leadership, customer acquisition and much more. He is the author of 9 books with his latest being “Objections” where it explains the art & science of getting past No. He is amongst the top Sales Acceleration Specialist who can teach you a lot about sales and its insides out. 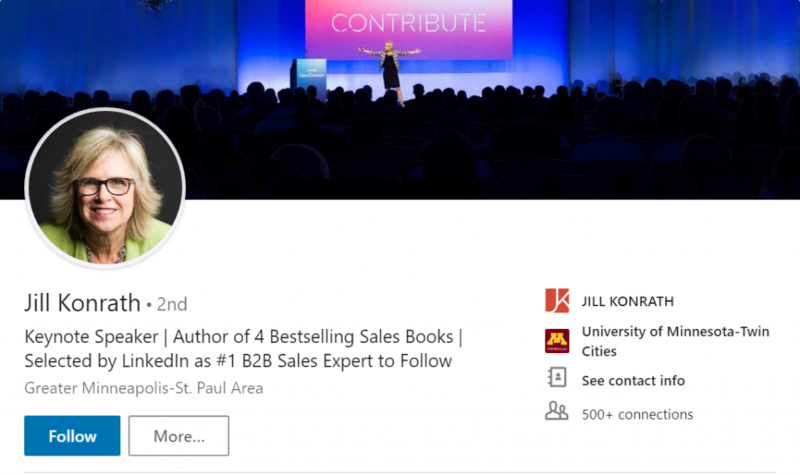 Jill is a Keynote speaker, author of 4 best-selling books on sales and is selected by LinkedIn as one of the best B2B sales experts to follow on LinkedIn. She has over 20+ years of experience in selling and she has been helping sales teams & companies touch new highs with her mantra of “More Sales, Less Time.” Her talks are engaging, informative, interactive, and your sales team will learn at least 2-3 sales tricks from her. 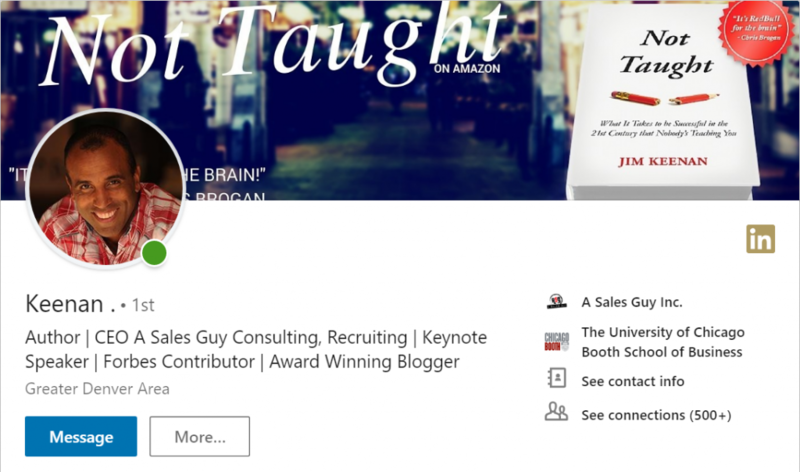 Jill is a sales force you need in your LinkedIn feed. 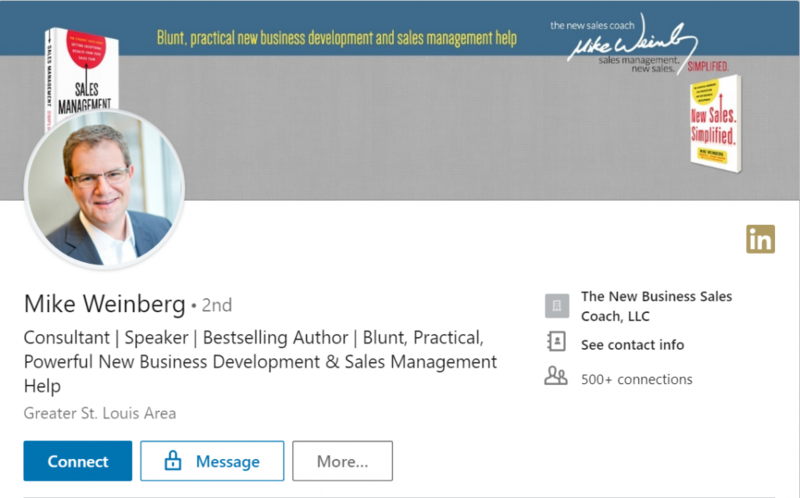 Mike Weinberg is the Consultant, Speaker & the Author of the best-selling book named “New Sales. Simplified.” His books simplify the new sales for a layman or a person who has just started his company and it also helps create high-performance sales teams. According to Mike, he provides blunt, practical, powerful sales and sales management help. So, if you are done with the jargons and want to learn Sales the simple way then Mike is your guy. Keenan is the CEO of A Sales Guy, Consulting and Recruiting Firm which provides up to date sales consultation to companies for making a mark in their industry by achieving great sales. He has 15+ years of professional experience which he has shared in his book called “Not Taught” which teaches you how to be successful in this information-driven world. Marc Benioff is the co-founder & CEO of the best CRM software out there, SalesForce. 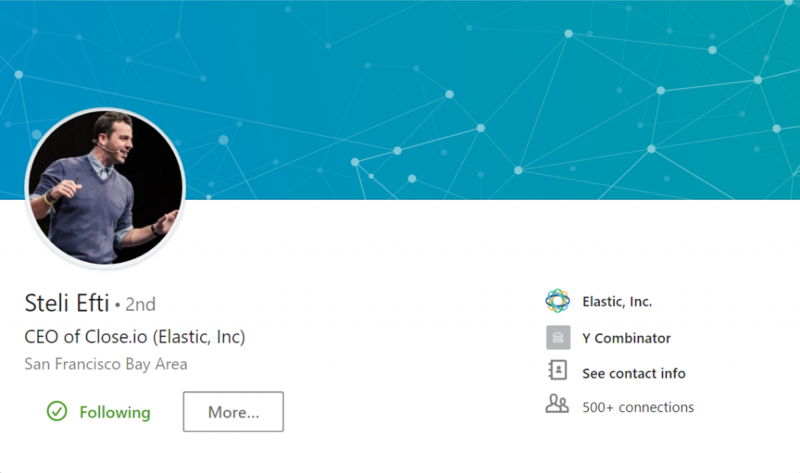 Before SalesForce, he worked for almost 13 years at database software giant, Oracle. 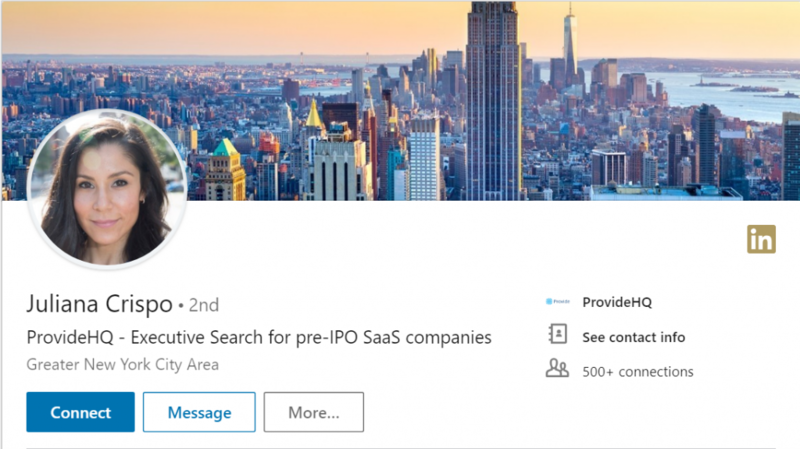 SalesForce is the pioneer in hosting its software online rather than having it installed on the user’s computers. He is recognized as “Business Person of the Year”, “World’s 25 Greatest Leaders” and other bigger titles. He is a personality to follow when it comes to values, sales, marketing, and entrepreneurship. 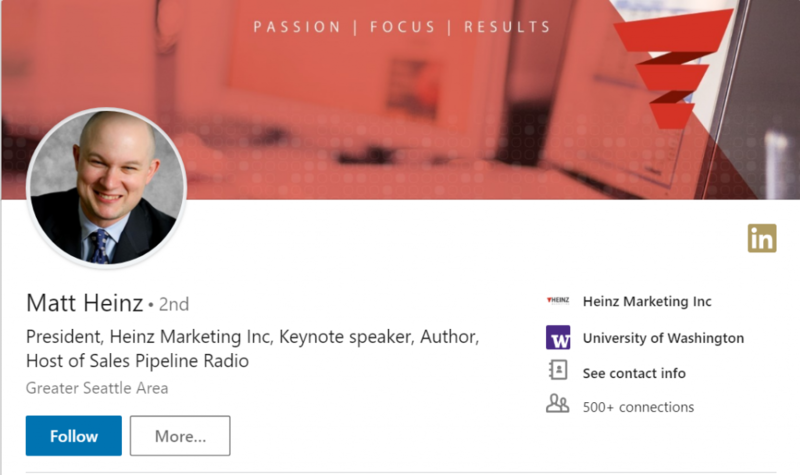 Matt Heinz is the president & founder of Heinz Marketing Inc where they provide services like demand generation, Inside sales effectiveness, content strategy and other verticals related to sales. He has over 15 years of experience in Marketing, Business Development, and Sales. Matt has held various positions in companies like Microsoft, The Boeing, The Seattle Mariners, etc. He, now, help his clients scale their sales, revenues and customer growth through different actionable plans. 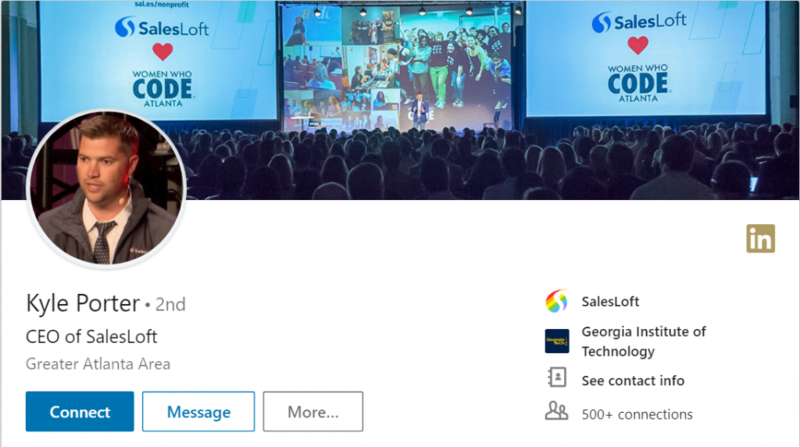 Kyle Porter is the CEO of SalesLoft which is one of the leading sales enablement platforms where you can perfect your corporate & sales communication. He is also a co-founder of B2B camp & sports bar digital, a gaming and digital advertising business. He has over 10+ years of experience in entrepreneurship and sales. 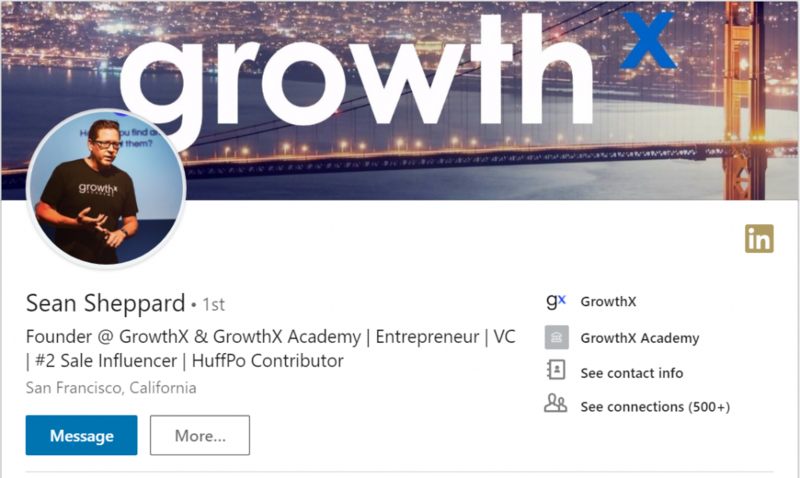 Sean is the founder of GrowthX & GrowthX Academy which help companies grow through the capital, talent, and know how. He is one of the top sales LinkedIn influencers of all the time and he is a regular contributor to Huffington Post as well. Sean’s 20+ years of experience has been classified into a proprietary market acceleration program and entrepreneurial sales training curriculum. 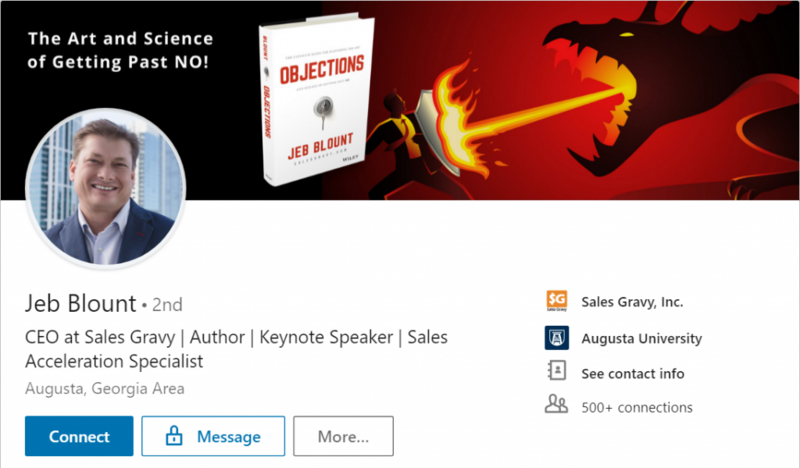 A person new to the sales field can learn a lot from Sean and his LinkedIn feed. 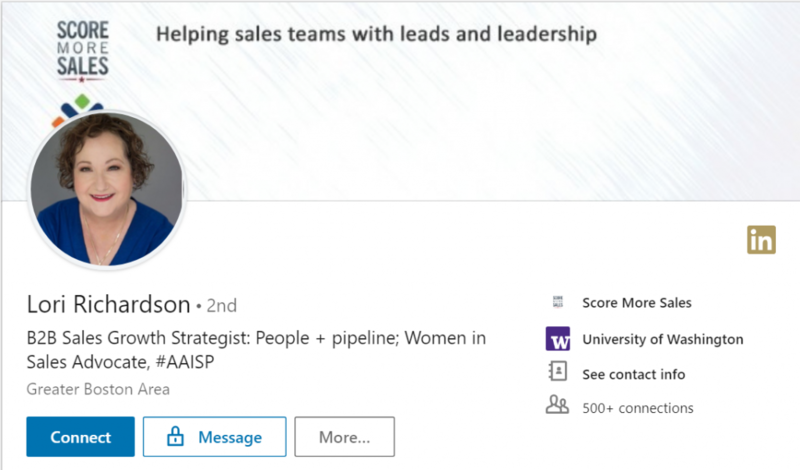 Lori Richarson’s LinkedIn cover photo says she helps sales team with leads and leadership. She is the founder of a sales consulting firm which uses a scientific approach to data, tools, and right selling skills to help B2B companies skyrocket their sales. Lori knows her way around anything related to sales and her LinkedIn feed will make any salesperson’s day easier. Aaron Ross identifies himself as a dad of 9 and an author of “From Impossible to Inevitable” and “Predictable Revenue.” His new book predictable revenue revolves around outbound sales and best practices of Salesforce.com. 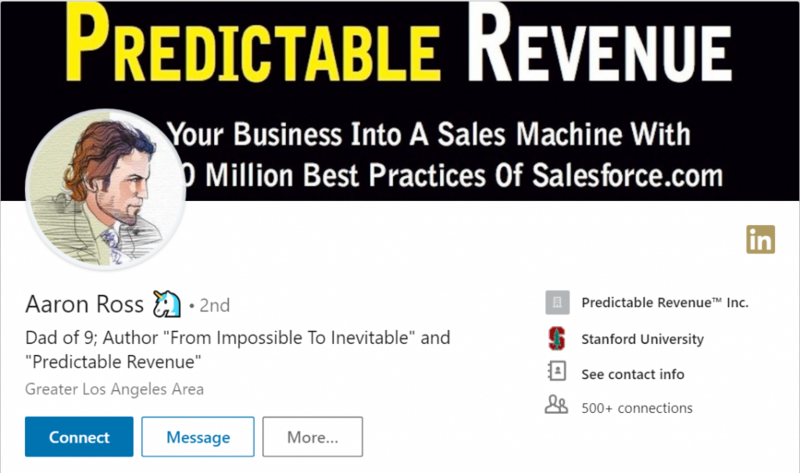 He also co-founded a software & consulting firm named after his book “Predictable Revenue” where he consults companies to accelerate their outbound sales using the cold calling 2.0 outbound process which added $100mn in revenue at Salesforce.com. So, if you are a follower of Outbound sales then Aaron Ross is the perfect guy to follow. 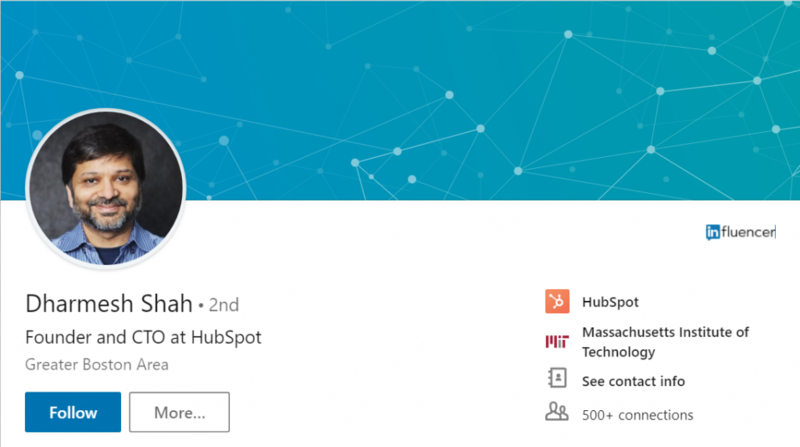 Dharmesh Shah is the Co-founder & CTO of HubSpot (best software for inbound marketing and sales) and he has also co-authored Inbound Marketing: Get Found Using Google, Social Media, and Blogs. 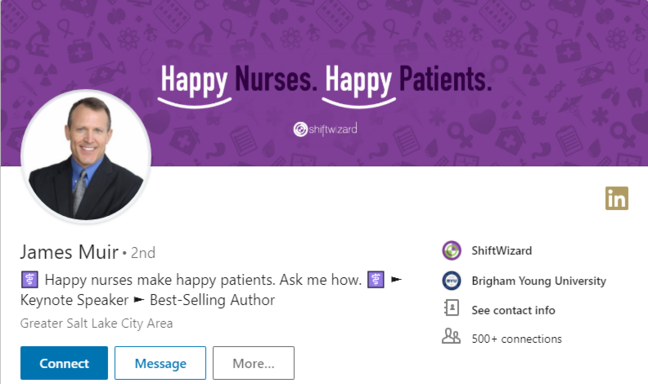 He is actively sharing his experience of inbound marketing, inbound sales, entrepreneurship, startups and much more on his blog, OnStratups.com which has around 500,000 members. 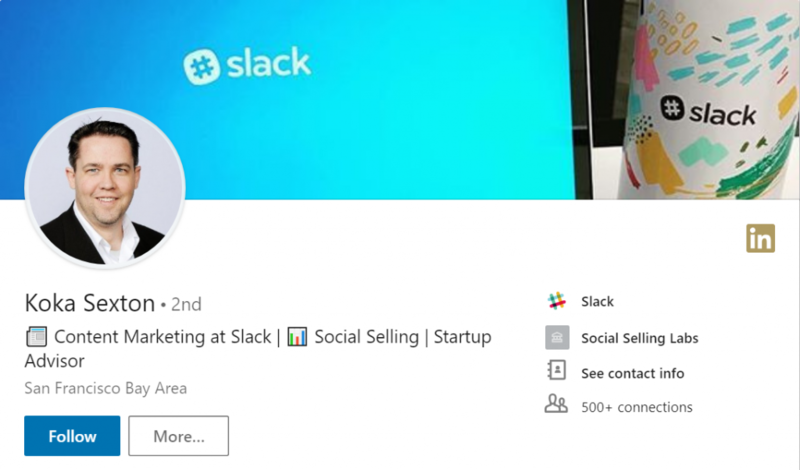 Social Selling is the newest trend when it comes to sales and Koka’s passion for social media when combined with his 10+ year sales experience gives you the exact skills needed for social selling. He guides people around the world through speaking engagements and customer training. 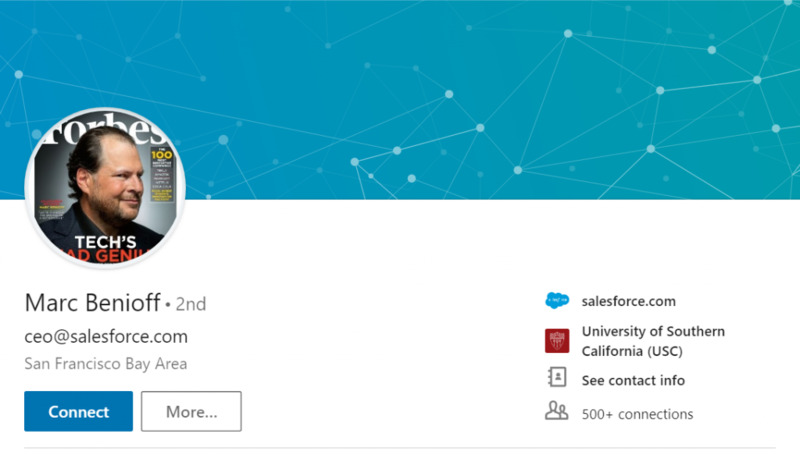 Koka can add value to your LinkedIn feed where he shares his expertise in lead generation, customer engagement, seeking out new opportunities, social selling, social media expertise and much more. Todd Falcone is the speaker & trainer on our list. He is one of the most popular speakers & trainer in the Network Marketing & Direct Selling arena. Todd has an entrepreneurial experience of over 25 years and has been delivering standing ovation worthy speeches for the past 15 years. He says what needs to be said and is definitely worth having in your feed if you are a salesperson. 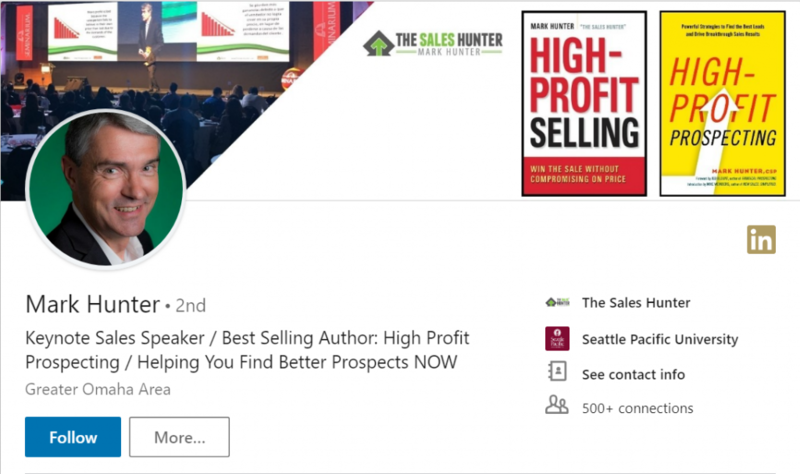 According to Mark Hunter, Sales is the greatest profession and he loves to help solo salesperson, sales team or any startup to give a boost to their sales by strategizing and implementing prospecting sales strategies. Mark is the author of two books where he shares his 20 years of experience in sales field namely High-Profit Selling: Win the Sale Without Compromising on Price & High-Profit Prospecting where he digs deeper into the importance of prospecting for successful sales. Juliana’s area of proficiency is in enterprise sales and her modern approach to this difficult to master area of sales has earned the attention of Forbes, Fortune, Huffington Post and more. She is the proud founder of Startup Sales Bootcamp, world’s largest modern enterprise sales school, which has over 10,000 members till date. Juliana managed to get around 2k students for her sales school in just under 6 months. So, if you are an enterprise sales enthusiast then you know who to follow! Trish is the woman who knows the inside sales the best. She is the CEO & founder of The Bridge Group, Inc. which specializes in Inside Sales consultation and implementation. 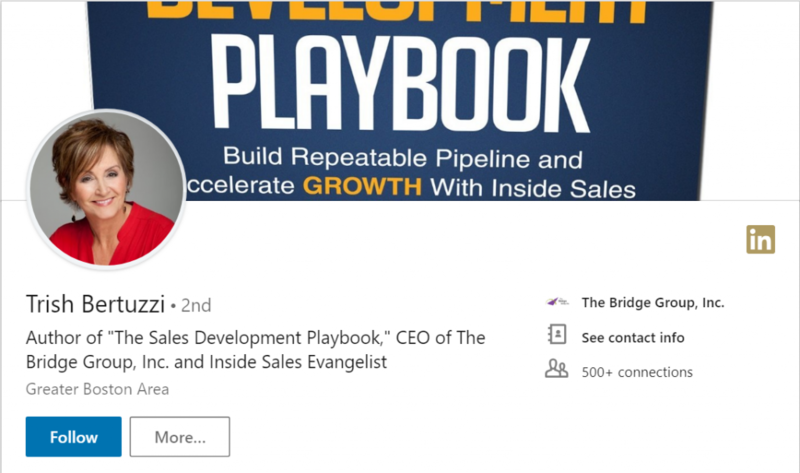 Trish is also the author of one of the most insightful sales book called “The Sales Development Playbook.” She helps B2B companies to accelerate their sales and revenues using her expertise in sales & inside sales. Jack Kosakowski can be your go-to influencer when it comes “no fluff” sales advice. He is the master of integrating social media into your sales process. He trains, consults, and help top b2b companies to execute the most sought social selling strategies. Jack is a published sales writer & his work has been acknowledged by Forbes. 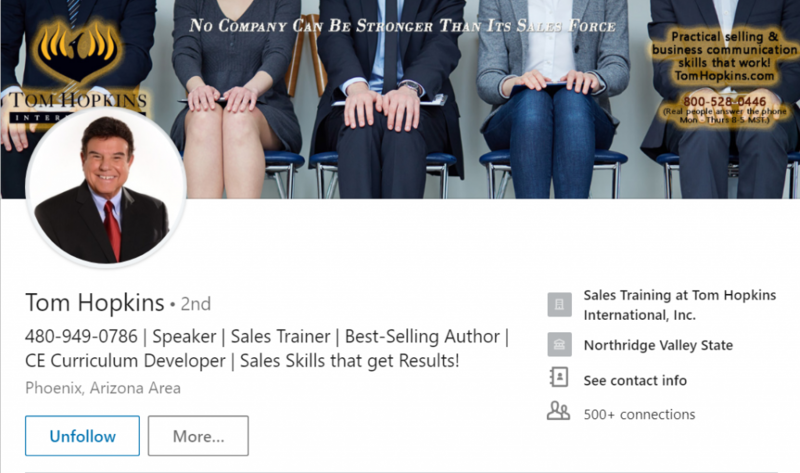 You can add value to your LinkedIn profile by connecting or following this Sales Genius. 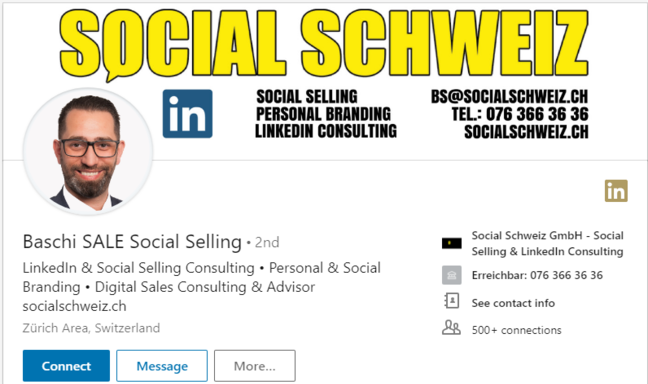 Baschi sale is a LinkedIn and social selling consultant. His expertise lies in the field of personal and social branding. He also consultants people with their digital sales needs. 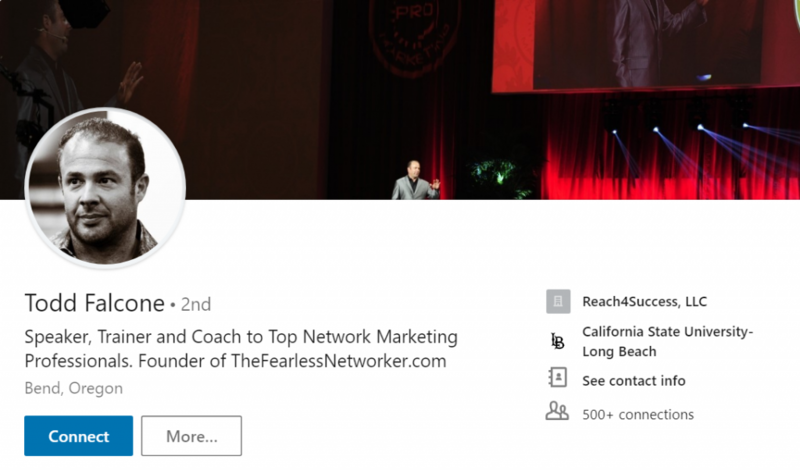 In the last 6 years, his company has worked with and trained hundreds of entrepreneurs and salespeople to quickly and effectively create new sales opportunities with LinkedIn & Social Selling. While he provides great sales support through his business, he also provides guidance and consultancy online. 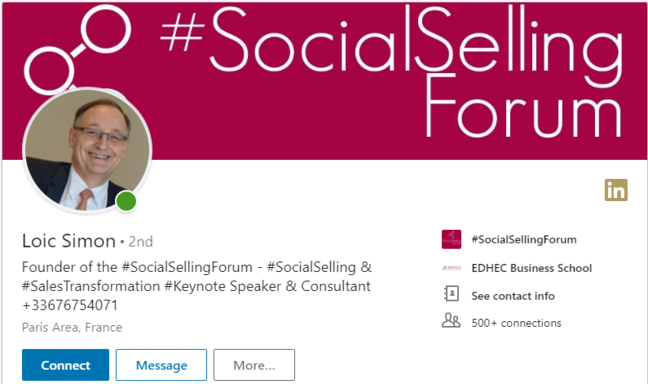 Loic Simon is the founder of the Social Selling Forum, a keynote speaker and a consultant. He had dreamt of spreading the importance and generating a need of social transformation in organizations and has taken great steps to achieve it. 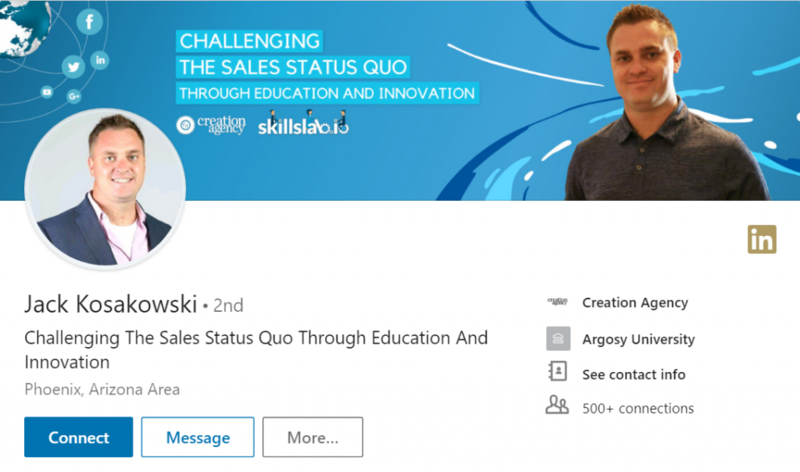 He showed his wonderful intellect and strategic brain when he came up with the idea of “Social Selling Starter Packs” helping people with smooth Social Selling pilot projects. A salesperson would have a lot to learn glancing through his feed and profile. 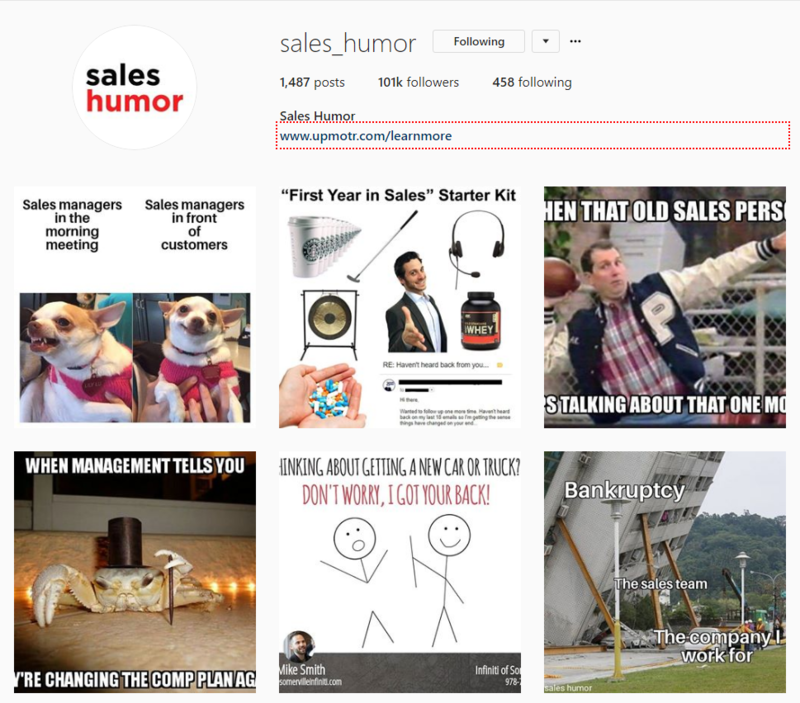 To make your feed a little bit colorful, Sales Humor is an Instagram account that a salesperson must follow for their posts can make your day with their witty turn on everyday problems a salesperson faces while dealing with their boss and customers. Not everyone is a social media person, some of us will still choose a good book over scrolling through the endless feeds of LinkedIn, Instagram, or Twitter. We have thought of those salespeople as well where we have added a section of Top 5 Books a Salesperson should read at least once. We have something more in store for you. With more & more time spent on social media these days, this article will help you keep your feed authentic and informative so that every minute of yours spend on social media can add value to your career or on the personal level. We would love for you to share across your favorite salesperson or sales LinkedIn influencers to follow on social media. Just leave a comment with your personal favorite sales influencers and if we have missed him/her in the list then we will definitely review his inclusion in the list.